Samoa Stationery and Books (S.S.A.B.) in partnership with H.P. New Zealand launched the latest invention of copier - H.P. A3 PageWide Format Copiers. H.P. Partner Business Manager, Suzanne Wheeler and H.P. Technical Consultant, Carl Hansen, were present at the event on Wednesday. The event also invited technicians from government ministries to come and witness the new machines and how it can help their organizations. The new invention of copier is only available at S.S.A.B. because they are the only authorized reseller of H.P. Products in Samoa. 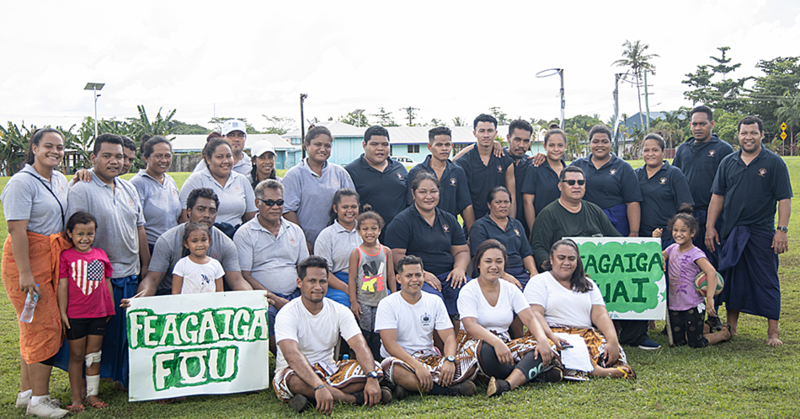 Held at the S.S.A.B.’s Conference Room, owner and President of S.S.A.B., Tofilau Fiti Leung Wai, said the new product will benefit the people of Samoa. “It is not often that big international conglomerate companies like H.P. 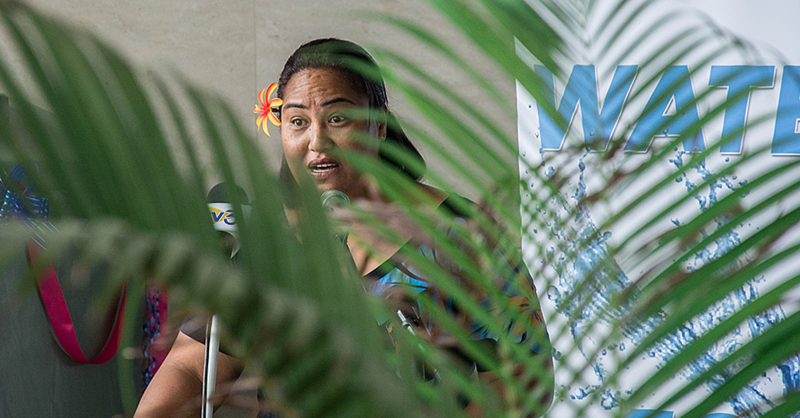 send representatives to the Pacific, let alone launch a new product here in Samoa,” she said. “Eight years ago S.S.A.B. started promoting H.P. products in Samoa on a way that was unique for Samoa. 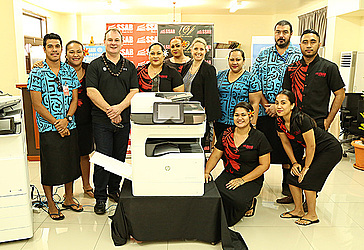 “This is when we first introduced Early Bird Specials to Samoa and we started with H.P. Products. “We believe in H.P. products because they are reliable, relevant and affordable with excellent back support. “Over the years S.S.A.B. has been promoting H.P. products, I have been knocking on H.P. doors for almost eight years and thank God for His favour and Suzanne Wheeler who managed to persuade Oliver and their H.P. team to support us. “So here we are now, they have come to launch this new A3 series copiers and will continue supporting S.S.A.B. and Samoa. 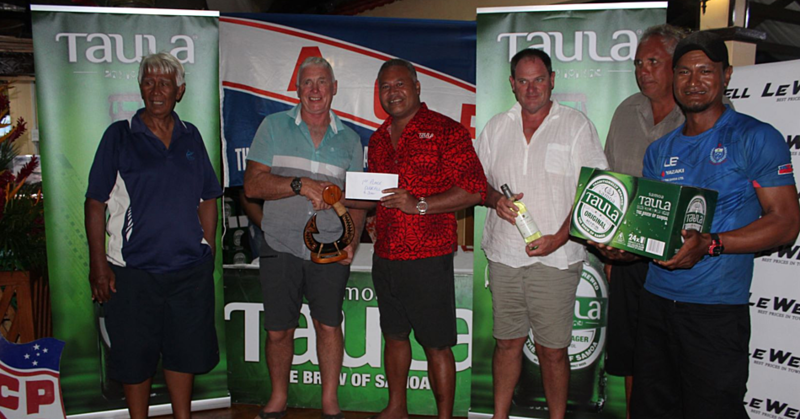 Tofilau Fiti acknowledged the support of such a big company for not only S.S.A.B., but most especially the people of Samoa. “I sincerely thank the H.P. team for your presence and support for us,” she said. “Your unwavering assistance and our dedication enabled us to win the H.P. Silver Award last year. “This is a prestigious award that Samoa is proud of, especially when there were other companies in the Pacific that were also vying for it.